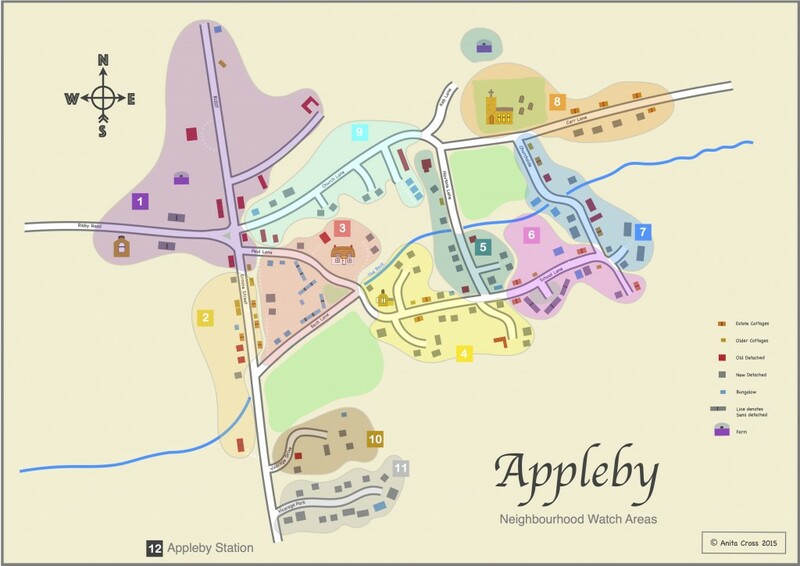 Appleby has an active Neighbourhood Watch Scheme. The village is divided into areas. Each area has their own local co-ordinator. You can download a map showing the divisions from the link at the foot of this page. If you see any suspicious behaviour or wish to report an incident, please contact the appropriate co-ordinator from the list below. If the person for your area is unavailable please ring ANY of the telephone numbers on the list. It doesn’t matter how trivial your observation might appear – taken together with other pieces of information, you might be helping to prevent a crime taking place. Together we can make a difference.